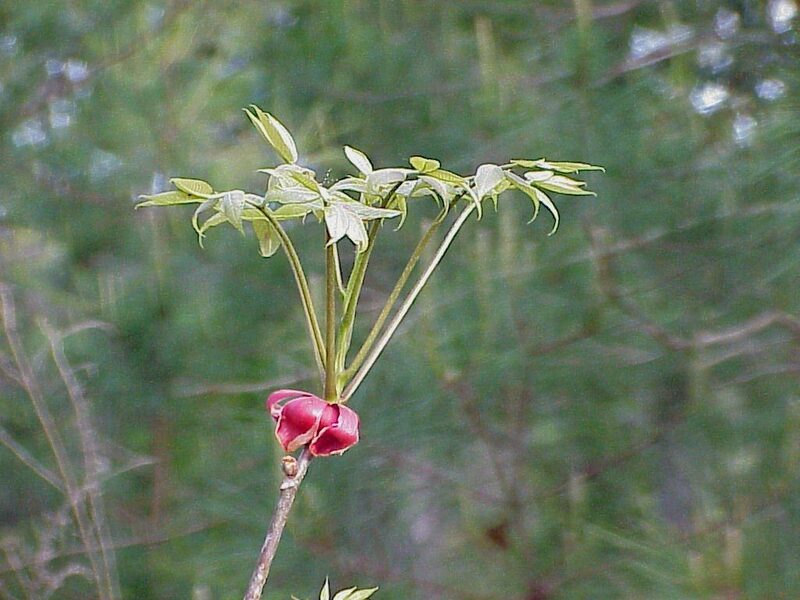 Pignut hickory, Carya glabra, is a large deciduous tree in the Juglandaceae or walnut family. Mature height varies from 70 to 100 feet. 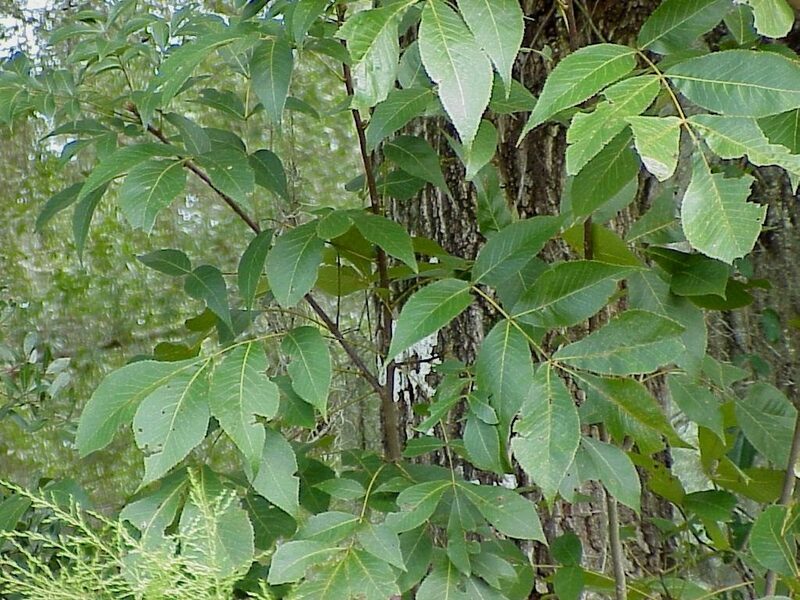 Pignut hickory is a common component of hardwood hammocks in our area and can be found growing in hammocks that range from xeric (dry) to mesic (moist) as far south as Manatee County. It is generally found throughout the southeastern United States. Carya glabra is the only documented hickory for Hernando County. 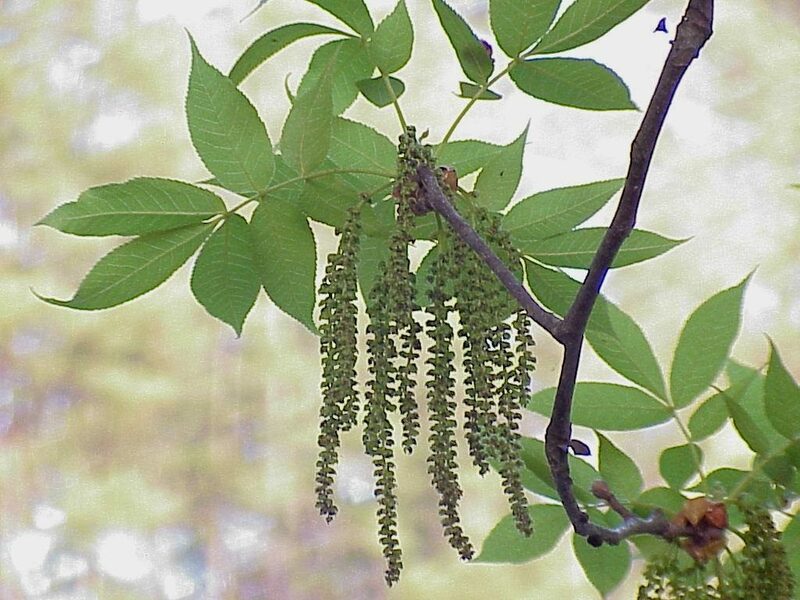 It occurs in Citrus County along with mockernut hickory (Carya tomentosa) and water hickory (Carya aquatica). Pignut hickory is distinguished from other hickories by all parts of the leaves being glabrous with only occasional hairs in the vein axils. Hickory is a very long-lived tree with a life span of up to 250 years. The crown of mature trees is relatively narrow and oblong. Limbs have a pendulous habit. The bark of mature trees is gray with shallow fissures in a pattern that is diamond shaped. The leaves are alternate, compound, and odd-pinnate, with five to seven leaflets and may be 8-16 inches in length. Leaflets are lanceolate, elliptic or oval in shape with serrate margins, 1-2 inches in width and 3-6 inches in length. Carya glabra leaves are distinguished from other hickories by the lack of hairs (glabrous) or occasional small tufts of hairs in the vein axils on the lower surfaces. The leaves turn yellow in the fall before they drop. Tent caterpillars can be found in silken ‘tents’ among the foliage in the spring. They do not harm the tree and actually provide an important food source for many birds and their nestlings, specifically yellow billed cuckoos. Male and female flowers occur on the same tree (monoecious) and are born in the spring. Male (staminate) flowers are 2-3 inch long catkins and are born in the leaf axils on growth from the previous season and appear before the female flowers. Female (pistillate) flowers appear in two to five flowered spikes and are born from shoots of the current year. Nuts are not produced until the tree is approximately 30 years of age and peak production occurs from 75 to 200 years of age. The nuts are edible, but the palatability differs from tree to tree. 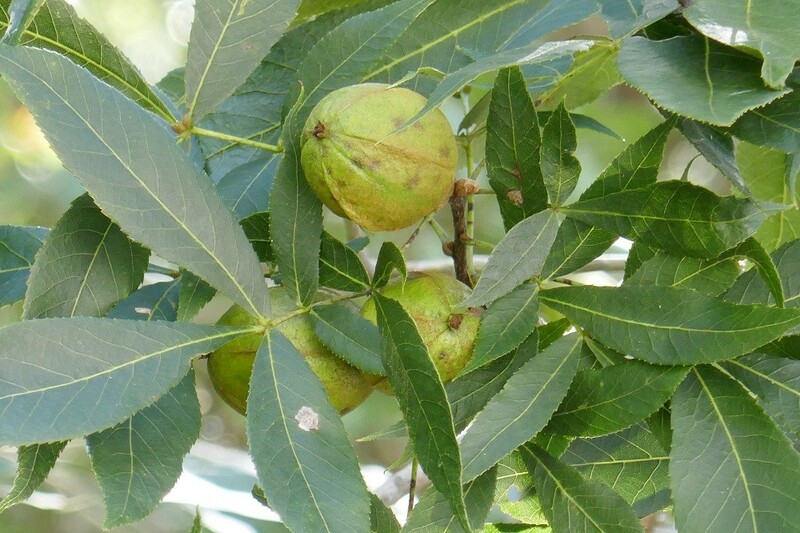 Hickory nuts were a staple food source for Native Americans. Gathered in the fall they were eaten out of hand and processed to make a form of ‘butter’ and a ‘milk’ type liquid that were used in cooking. Many were also stored for future consumption. The inner bark of the hickory tree was also used to make cord and rope. Hickory trees provide food and shelter for a variety of wildlife. In our area gray, fox, and flying squirrels use the nuts and leaf buds as a staple food source and build nests within the limbs. Deer and other mammals may occasionally browse the foliage. Many birds forage on the insects that are attracted to the spring flowers and use the foliage for shelter and nesting. The bark, twigs, and hulls of the nuts can be used to produce a brown dye. Hickory is a larval food for a number of giant silk moths including the luna moth, polyphemus moth, and the royal walnut moth.